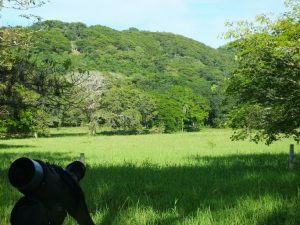 Known for sun, beaches, and wide open vistas, Guanacaste is a popular tourist destination that encompasses the northwestern region of Costa Rica. Acting as the southern terminus for the tropical dry forest ecosystems of the Middle American Pacific slope,the lay of the land offers an appeasing blend of windswept fields dotted with octopi-like acacias, evergreen riparian zones that act as avian oases, patches of remnant dry forest, and rich wetlands. The blend of easy birding and good tourism infrastructure makes northwestern Costa Rica an ideal part of the country to mix birding with a family visit. Those factors also make Guanacaste a good choice for local birders and even more so because the region offers high potential in Costa Rica for finding rare migrants. American Pipit has occurred as well as vagrant sparrows, wood-warblers, Aplomado Falcon, and even Gray Kingbird. 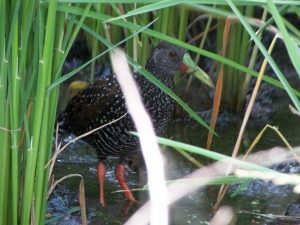 A few of the top sites for shorebirds are also in Guanacaste and since the region sees so little coverage for large areas of good habitat, who knows what else might be lurking along a dry creek bed or near some hidden pond? Maybe Costa Rica’s first Blue-gray Gnatcatcher? Sharp-tailed Sandpiper? Maybe even a Burrowing Owl? Long shots for sure but they might honestly be out there and the best thing about looking for them is seeing hundreds of other bird species in the process. This past weekend, while guiding the Birding Club of Costa Rica, I visited Horizontes, one of many sites in Guanacaste that sees little birding coverage. Although we didn’t find any crazy megas, both Robert Dean and I agreed that the site would be perfect for finding rarities during the height of the dry season as wetlands shrink and thus act as oases for birds. Even though we didn’t manage to add Lark Sparrow to our Costa Rica lists (a real mega around here), we were still very pleased with the overall birding at Horizontes and plan on making a return visit. Several Key dry forest species are present, check out my eBird lists from my visit. Thicket Tinamou– common! Although in keeping with tinamou decorum, still tricky to see. Double-striped Thick-Knee– we had a few. Plain Chachalaca– we heard a few of this very uncommon species for Costa Rica. Elegant Trogon– we heard a few. Ivory-billed Woodcreeper– we had a couple. Northern Potoo– we did not see one but they are regular at this site, with a bit more time to work with I am sure we would have found one. 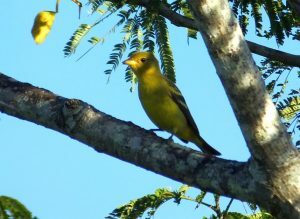 Western Tanager, White-lored Gnatcatcher and many other regular Guanacaste species were very common. Spot-bellied (Crested) Bobwhite– we saw a covey near the main buildings. Yellow-naped Parrot– we had regular sightings of this endangered species. 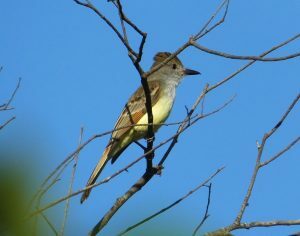 Myiarchus flycatchers– these were especially common, in fact, along with the gnatcatcher, some of the most common birds heard and seen throughout the day. Great-crested were very common and an example of the important role reforestation projects can play to provide habitat for this and other boreal migrants. Brown-crested and Nutting’s were also seen quite often. 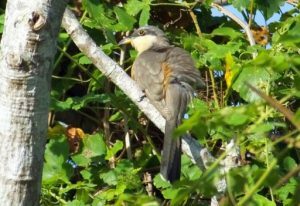 Mangrove Cuckoo– we had beautiful looks at a couple of these cool birds. 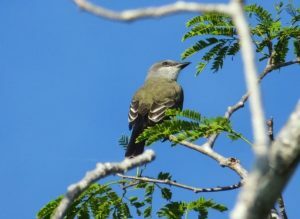 Western Kingbird– an uncommon wintering species in Costa Rica. 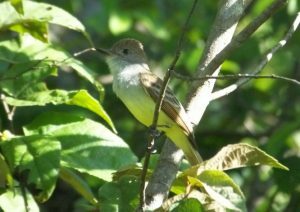 Although birding a trail or two is worth the effort, we had our best birding right along the main tracks through the reserve. 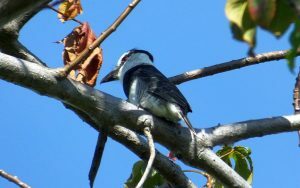 A White-necked Puffbird was nice as were close looks at a female Hook-billed Kite. We had fewer birds than hoped but still managed nice looks at Painted Bunting and an uncommon for Costa Rica Magnolia Warbler. Once the surrounding area dries out, this site would be a good one to check for much rarer species. 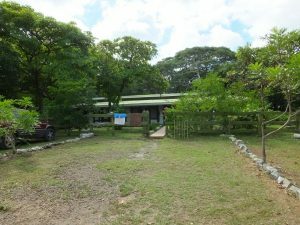 The accommodations at Horizontes are basic but fine and clean and include rooms with bunk beds and fans (standard for a field station). The food was local fare and it was delicious! However, it’s also just as easy to visit as a day trip from Liberia, Playa Hermosa, or other nearby beaches. The road in was also driveable even with a regular car (albeit with careful driving). Since few people bird at Horizontes and the site has potential for turning up rare species, it’s good to keep this in mind and be ready to take pictures of any unusual birds. We were told about a strange bird that has occurred there that sounded like it might be some owl species and maybe even a Great Horned (a real mega for Costa Rica). Given the proximity of rice fields and other wetlands to Horizontes, it’s worth venturing outside the station to bird other sites. On an afternoon visit to the rice fields at Las Trancas, we did very well with excellent looks at Spotted Rails, Harriss’s Hawks, Northern Harrier, and many Scissor-tailed Flycatchers. Horizontes is easily visited as a day trip, all a birder has to do is drive in and pay the national park entrance fee. Meals and overnight stays would need to be arranged in advance but that should be easily done by contacting the station manager. The best time to visit is during the dry season, note that some of the roads may be impassable during the wet season. Although Santa Rosa has better forest habitat, what we liked about Horizontes was the feeling that we were birding in an area with little coverage and high potential. If visiting Horizontes, please post your results to eBird and mention them in the comments for this post. Good birding in Costa Rica!